The upcoming episode of Star Plus popular daily soap Yeh Rishta Kya Kehlata Hai is up for high voltage drama and twist. 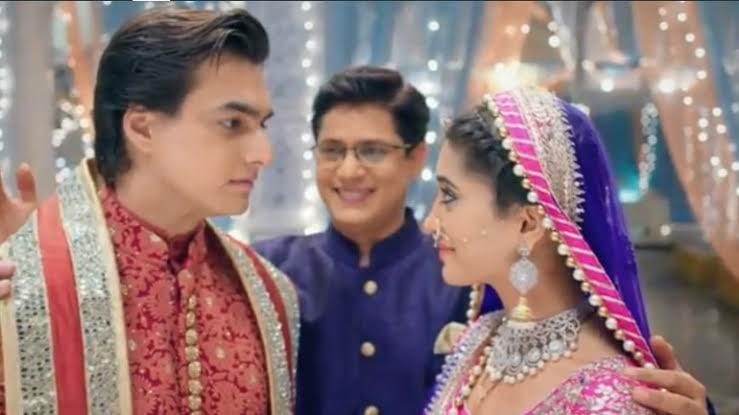 Kartik and Naira reaches on time for godhbarai ceremony and Dadi is not happy as they are late. Naira and Kartik lies to Dadi and manages situation, here godhbarai ceremony begins. All mens of the family are shown outside way and asked to stay outside as it's ladies function. Akhilesh, Kartik, Manish and all are upset with this, while Akhilesh has a plan. Akhilesh has a plan and dresses as ladies to mark entry in godhbarai ceremony and dances like ladies and all had fun moments. Goenka's and Singhania's are celebrating happiness and all family is together.